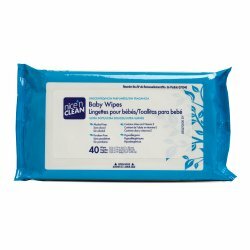 Extra-strong wipes, yet soft and convenient for a variety of cleanup jobs during diaper changing time, feeding time or playtime. 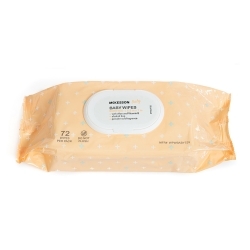 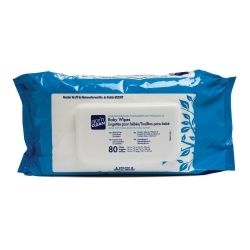 The moist wipes work like strong, fluffy washcloths and help soothe and soften baby’s skin. 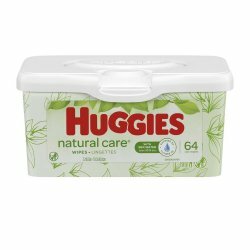 With Aloe Vera and Vitamin E to help keep baby’s skin soft and smooth. 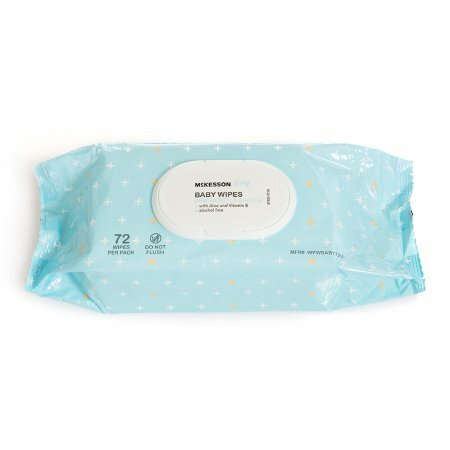 50 gsm large emboss spunlace.